The Ohia Camper is located just beside a lovely old growth grove of native Hawaiian Ohia trees. 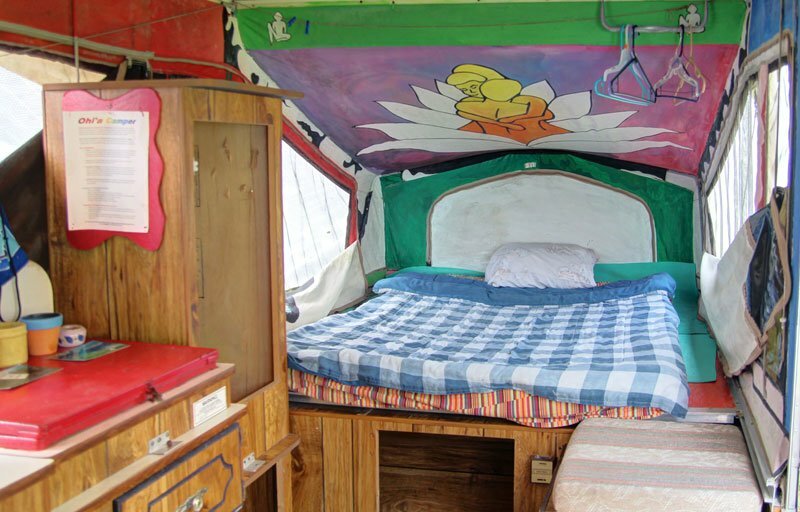 This accommodation has two full size beds, perfect for a group of friends to share. 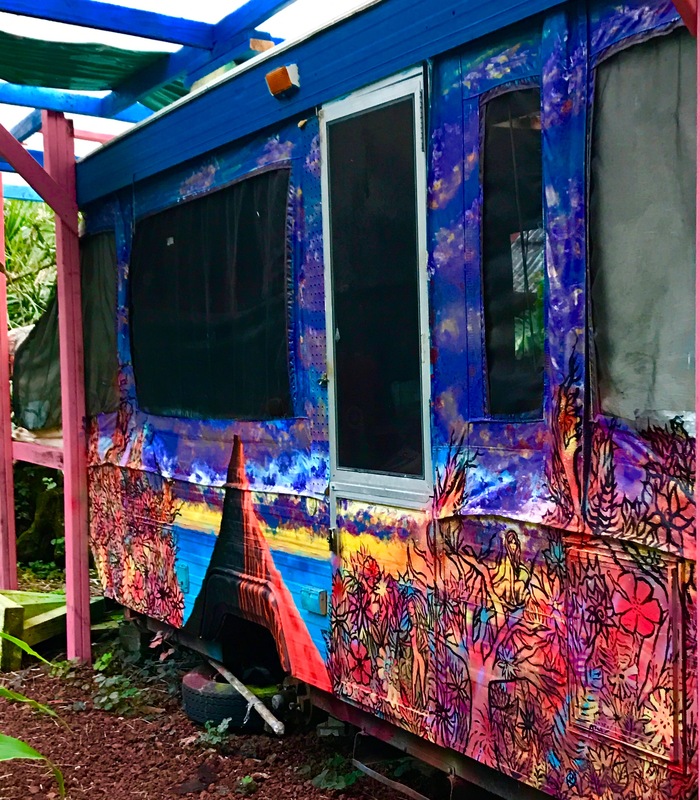 Ohia Camper is an actual mobile camper which we have decorated on the inside with quirky Hedo art! This art is an interns interpretation of the ‘Jungle Queen’ idea and her interaction with the goddess of the volcano, Pele. Located in front of this lovely accommodation is a ginger lily garden, with a perfectly placed papaya tree. This provides the perfect amount of privacy and scenery. The Ohi’a Pop-Up Camper is good for groups, couples or small families. It also doubles as a Dorm space for two single adults of the same gender. 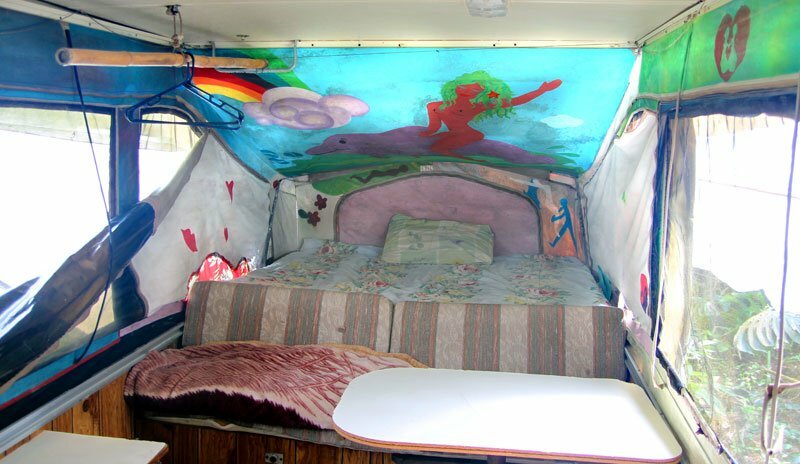 For example, if a single female books a space in the Ohi’a Camper then it becomes a female dorm and vice versa. 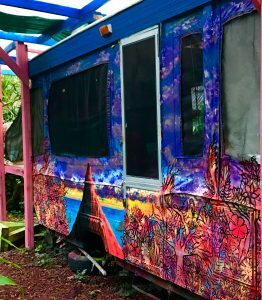 The Ohi’a Camper is unique because of its versatility. It cozy enough for families and groups, yet spacious enough for two individuals who are ‘strangers’. We offer these special weekly or monthly rates for those who wish to enjoy being part of the community working one light Community Support Shift per week.